Knowing that the core Wayland protocol won't evolve rapidly, we obviously need additional API calls to do this. That's where the xdg-shell protocol comes in. It's a recent extension targeted at passing desktop-oriented hints to the compositor. The new protocol is provided (but still doesn't build by default) in the latest releases of Weston. Although I couldn't use xdg-shell due to my current Weston 1.3.x codebase :-(, I was able to demonstrate what an implementation could look like by writing a taskbar for Weston 1.3.1. And here's a video for the lazy ;-). What's important here is not really the taskbar itself, but the xdg_shell_set_minimized() call that the client application could issue to ask for its own minimization (using the corresponding button on its titlebar e.g.). 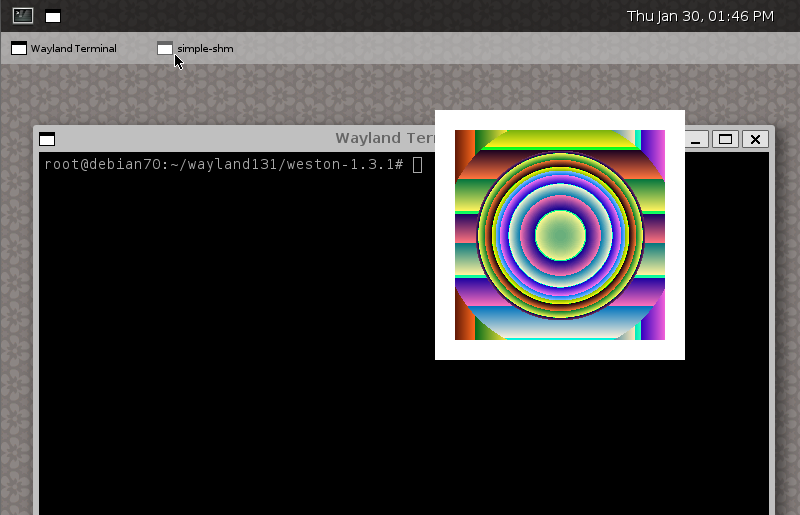 Will be porting the code to Weston 1.4 and real xdg-shell next week. Stay tuned !